Remember back in december when I recommended these mason jar snow globes? Well I made some of my own, and they turned out pretty awesome (if I do say so myself), and, since I avoided any traditional holiday themes, pretty seasonless as well. So never mind that the holidays are behind us, make yourself some fake snow magic and enjoy it year-round! -Jar - a mason jar will work perfectly well if you have one, and it'll add a nice folksy homegrown look to your snow globe, but honestly I found the embossed patterns distracting and was delighted when I found these smooth glass jars from Penzeys Spices. -Glitter - I chose the more traditional route here with irredescent white, but go nuts! -Hot Glue Gun and possibly sandpaper and a sharpie - It turned out that the fancy glue they recommended at the craft store was totally worthless. 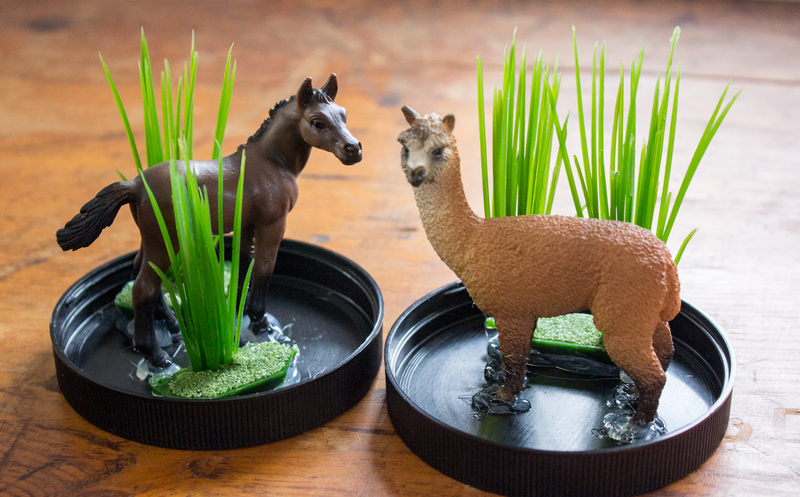 I don't know if it was because my animals' footprints were so small, or because the insides of my lids were so smooth, but I was having a horrible time getting them to stick, even without the water in there. Hot glue gun to the rescue, and after that dried, those babies were going nowhere. I also found that my horse was a wee bit too wide for my jar, so I had to sand down his tail and then repaint that bit black with a sharpie. No one was the wiser. Be prepared for those sorts of minor surgeries. 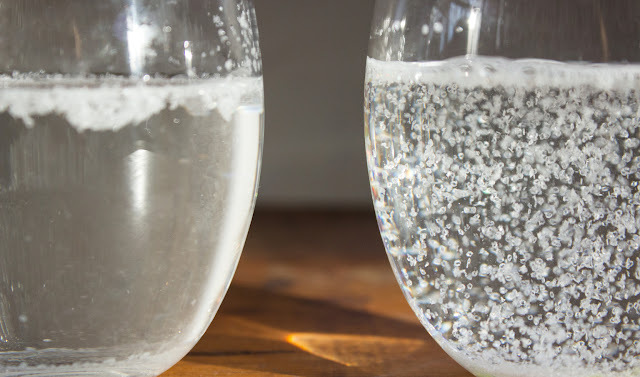 -Dish Detergent - everyone says you need glycerin to thicken the water so the glitter falls more slowly, but I'm here to go against conventional wisdom and say Don't Do It. I experimented with different amounts of glycerin and a few different types of glitter, and in the end none of it worked for me. I ended up using a few drops of dish detergent and that did the trick perfectly. Check out my side by side comparison above if you're skeptical (that's glycerin on the left, dish detergent on the right). And that's it! Now you just play with your toys until you've got them all arranged how you like, and glue everybody down into their new home on the inside of the lid. Load the glue up nice and thick, it won't show once you've got it all assembled and it needs to hold tight. 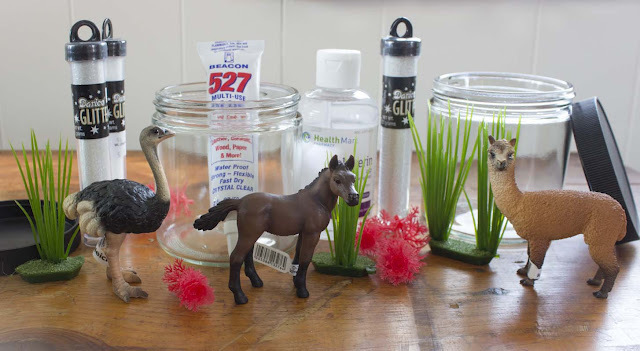 Then just fill your jars with water and a few drops of dish detergent, add your glitter, and carefully insert these guys in head-first as you screw the lid on. Try and make sure the jar is filled as high as possible and that you don't lose much water as you put the lid on; any air will show up at the top when you flip it over. You could glue the lid on, but mine didn't seem to leak and I liked the idea that they could be emptied and adjusted in the future if needed. 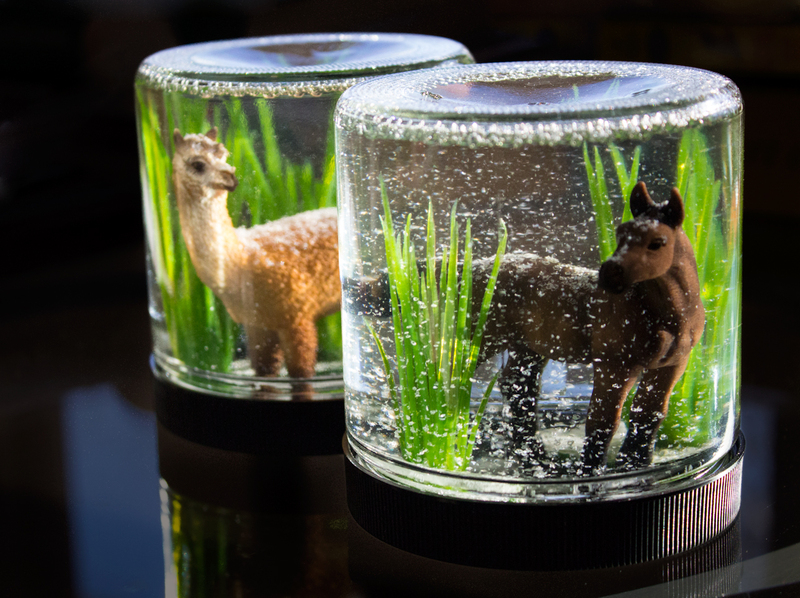 Just like that, I made horse and llama snow globes. What will you put in yours? That is so cool! I might do this later in the year with the boys but see if I can find them some mini power rangers (yup - that's their bag at the moment). 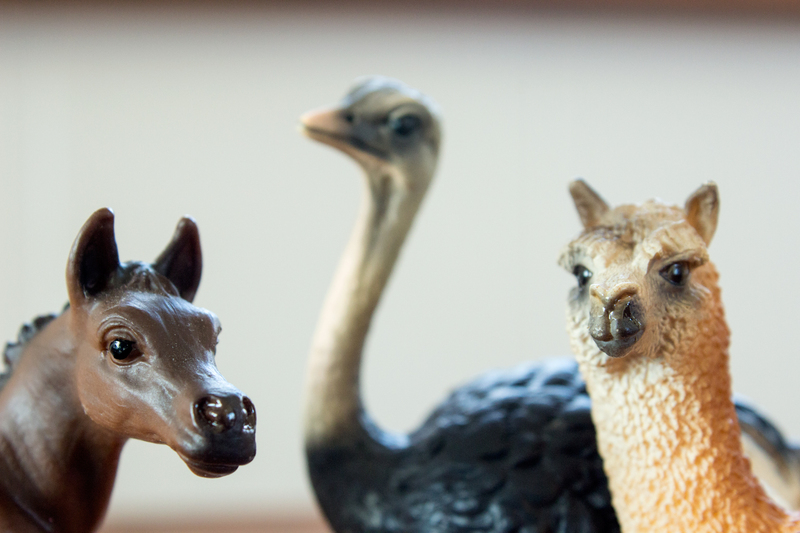 I love the llama. He's too cool for school. Thanks! I had so much fun making it, I can only imagine how fun it would be for the little ones! Glad you like my llama, he just spoke to me ;) I'm sure the power rangers will look great too. Hahahaha, the llama! I love this! Definitely something I'm going to have to do. Let me know if you give it a go, I'd love to see other people's versions!